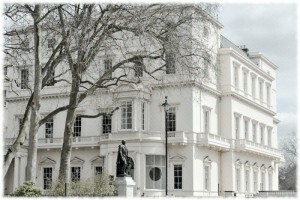 3 stunning Georgian wedding venues in Central London – get great package deals with Function Fixers! This unusual venue has been formed out of two adjoining townhouses that have been combined to create one large events venue. It is split into two sections, No.10 and No.11, which are very different but equally spectacular. 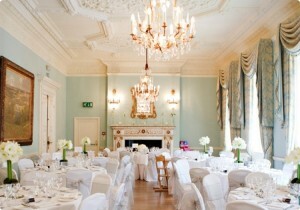 While No.10 lends itself to high-end corporate meetings and conferences, No.11 offers a traditional Georgian wedding reception space that instantly provides a sophisticated, opulent space for lavish parties. 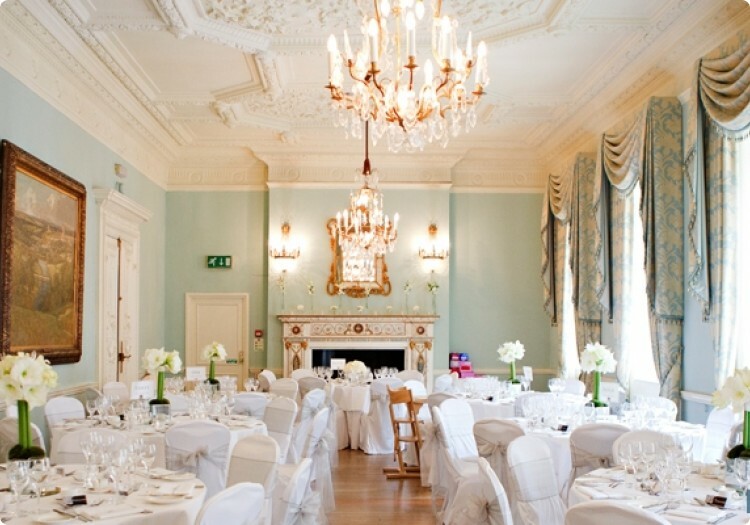 The ornate plasterwork, high ceilings and tall sash windows with views of St James’ Park mean that there’s barely any need to decorate this already stunning venue, and the simple addition of flowers and table ornaments are enough to make a big impact in these beautiful function rooms. The Music Room seats 70 for dinner in cabaret style, and can host 100 for a standing reception – the ideal place for an intimate, elegant celebration. 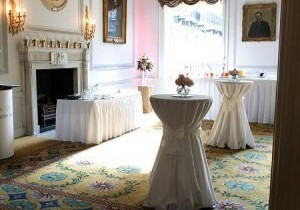 While not everything in Dartmouth House may be 100% authentic, this venue has been decorated to a very high specification and has pulled off the mock Georgian look absolutely perfectly. The building was constructed in the 1750s, but has undergone so much restoration and suffered so much destruction (it was bombed heavily in the war), that many of the original features are long gone. However, the building has been restored to its original glory by an expert team of historians, and under the watchful eye of English Heritage, to ensure that no expense was spared and the detailing was as good as new. The result is quite spectacular – classic Georgian features such as decorated ceilings and a stunning cast iron staircase give a real sense of authenticity, but they’re all shiny, new and strong, with additional safety features and made from tougher materials. This is also a great venue for a summer wedding, as there’s a secluded courtyard that offers beautiful white marble paving and a view of the striking façade of this historic and imposing building. 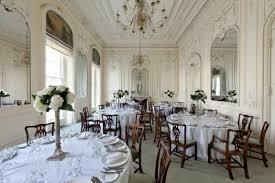 You can hire the entire venue for 450 people, and the largest function room can host 120. 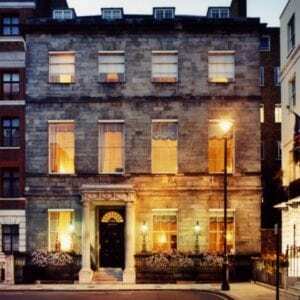 Chandos House is like a little Georgian Tardis – it looks like a relatively modest townhouse from the outside, but indoors, spacious function rooms and a stunning contemporary courtyard garden offer ready-made spaces for wedding receptions. Able to host up to 110 for a wedding breakfast and 180 for a drinks and canapé reception, this Grade I listed venue also boasts an excellent location, nestled perfectly between Mayfair and Marylebone. Function Fixers can get great package deals on accommodation here for your guests, and the 18 bedrooms include one of the most romantic Bridal Suites in Central London. 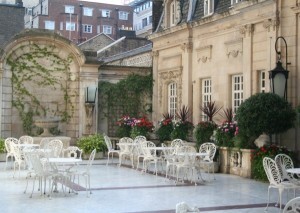 Having been renovated in 2005, the practical facilities (toilets, kitchen etc) are thoroughly modern and designed to cope with the demand that comes with large events, but the original Georgian features remain genuine, tasteful and refined. 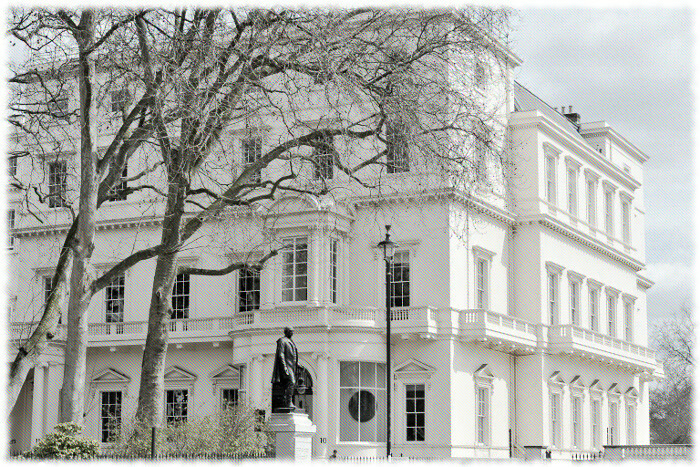 Call Function Fixers to learn more about hosting your wedding in a Central London venue, or too arrange a site visit free of charge to Carlton House Terrace, Dartmouth House or Chandos House.